“I feel like I’m traveling with you when I watch your videos.” – A comment on one of my YouTube videos. It demonstrates the power you have with videos, and the potential you have to connect with your audience. In this post, I’m going to share with you a step-by-step guide on how to make travel videos for YouTube (and then depending on what your goal is, I’ll show you how to grow your channel and subscribers). Word of Warning: This guide is long and extensive (and I share a lot of the things I’ve done to grow my YouTube channel), so if you’re interesting in learning how to make travel videos (or any video) for YouTube, I would encourage you to read through ALL of it. And if you have a question, leave a comment at the bottom. The reason videos are so important is because they are incredibly engaging and offer a well rounded sensory experience that includes visual motion, sound, story, and personality. I always loved taking photos of food and blogging about it, but I continued to think to myself that there had to be a better way to show the atmosphere of eating and the emotion of tasting delicious food. I needed to start making travel and food videos and posting them on my YouTube channel. On that day I committed myself to learning how to make travel videos (mostly food focused), and how to optimize video SEO on YouTube (which is not only the biggest video website platform, but also the world’s second largest search engine). When I first started making video, I had no experience, and had little clue what I was doing (and I only had a small point and shoot camera). Today, my YouTube channel is my main sources of making money and getting traffic. Videos have massive potential. And even if you have no experience, and have no idea what you’re doing, you can still get started today (and this guide will walk you through getting started). You can make great videos, even by yourself. One of the greatest things about making travel videos yourself is that you’re the producer, and you can decide what you want to do, how you want to film your story, and you don’t have to let anyone else approve your video before you publish it. This first section is going to cover a quick formula for how to make travel videos, and we’ll then go much more in-depth about each of these topics below. Define Your Story: According to the Harvard Business Review, our brains naturally love stories and are attracted to following them. Think about what story you’re going to share in your video. Film Your Video: Once you have your story, it’s time to start filming your video. I would recommend getting lots of both close up detailed shots, and long wide shots. And get some extra shots for post editing too. Edit Your Video: Editing your video is the process of taking the raw clips you filmed, and making them into a flowable story, where you can cut out parts you don’t need, and keep everything in sequence. Editing a video is sort of like doing a puzzle, you get to fit everything together. Publish and Promote: Once you’ve created your video, it’s time to upload it to YouTube or anywhere else of your choosing, and optimize and promote it so you can share your video story with others. Now, let’s get into some serious details. 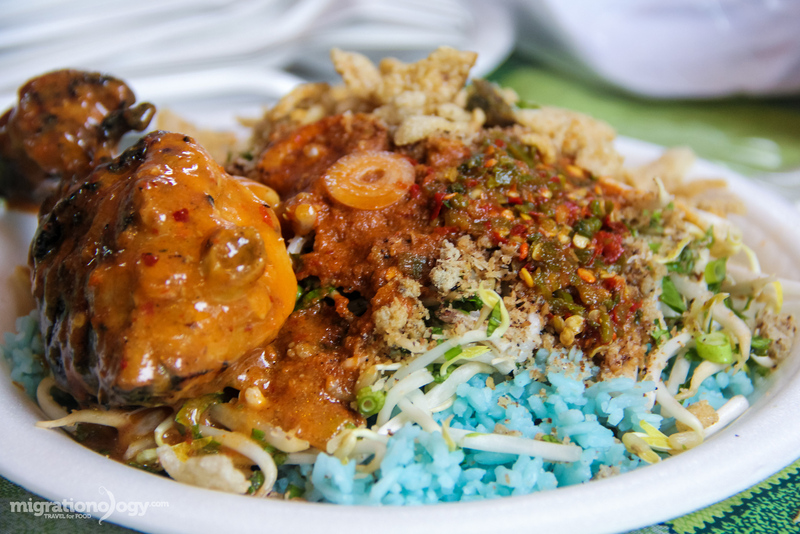 Wouldn’t it be nice to make a video eating blue rice, instead of just having a photo? Before you start making travel videos, you might want to take some time to think about the types of travel videos you want to create. Sometimes though, it helps to start making videos first. Then once you’ve done some experimenting, you’ll be able to narrow in on the types of videos you enjoy making, and that are most effective for what you’re doing. Travel Vlogs: Vlogs, or video blogs, are the video equivalent of a blog post. Travel vlogs are typically very personal, overall pretty natural, focused on reality, and for the most part they don’t need to be perfectly edited or filmed (they are often filmed by yourself, selfie style). According to BBC, a key to the top vloggers is that they build trust with their audience. Vlogs are one of my personal preferred methods of making travel videos because they don’t have pressure and are meant to be natural. In addition to showing personality, in my vlogs I try to offer helpful tips, like where to stay, and restaurants to eat at. Travel Guide Videos: Making a travel guide destination video could be something like a “Guide to visiting Delhi,” or “25 Things To Do in Tokyo.” These are examples of travel videos that aren’t just personal updates, but they are designed to inspire or help people travel. Additionally, these types of destination videos can be optimized for search engines (either on YouTube search or Google search) so that they keep on being viewed. Destination travel videos can take some planning, lots of footage, and a lot of editing. But the results I’ve seen from these pillar style videos, can be huge. Niche Videos: When I first started making travel videos for YouTube, I really had no focus or story, and I just uploaded a few videos and waited to see what would happen. However, my passion is food travel, and so when I started focusing on my niche, I decided to make the majority of my videos focused on food (which is often a part of travel). Choose the niche that you’re passionate about and make videos revolving around your passion. Explanation or Marketing Videos: Since videos are so engaging, they can be hugely effective for marketing and promotions. Your “About” page on your travel blog is probably one of the most viewed pages on your website, so why not make an “About Me” video. Putting a face, voice, and personality behind a blog immediately makes it more trustworthy, personable, and credible. There are many kinds of travel video possibilities and these are just a few to get your ideas flowing. But the BEST way to figure out what kind of travel videos you want to start making, is to start filming and publishing and seeing what works and what you enjoy. What’s the most important thing about a video? Casey Neistat, one of the greatest vloggers on YouTube, has consistently said “story” is the most important component of ANY video. Have you ever watched one of those amazingly filmed scenery videos with the gorgeous footage and music in the background? After about a minute of watching, maybe you got bored and went to the next video. It’s inspirational, but not a story. On the flip-side, you’ve watched a video where someone is explaining something or sharing something, that keeps you engaged and watching, and walks you through a story. And all of a sudden you don’t know where 10 minutes just went. Think about a story for every video you make. Will you be the face of your video? If viewers can see your face and feel your personality, they will instantly connect much better with you than if they don’t see your face. I’m not saying you need to be the main part of your video, but what I think works best is a mixture of being on camera and then overlaying video clips to explain what you’re talking about. I was nervous and felt weird the first time I decided to make a food video on camera. Speaking in front of the camera, even if you’re filming yourself, can be a scary thing. But I’m here to tell you that, just like most things you practice, you get better and more comfortable at it. If you choose not to be on camera you can always edit your videos and add voice overs or add music to your travel videos. Cameras and equipment are of course essential for making videos. But at the same time, if you don’t have a plan or story, they aren’t worth much. Video quality is important, but at the same time, I would encourage you to still make videos, even if you don’t feel your equipment is good enough. You can record great video nowadays with point and shoot cameras, or even phones. I started with a point and shoot camera (I think it was 4.3 megapixel), and I also formerly used a Canon 70D to film my videos (the Canon 80D is the updated version and a great camera). It’s a great camera because it has a wonderful autofocus so you can easily film yourself. But it’s a pretty big and bulky camera. As of mid 2015, I switched over to a mirrorless camera that is much smaller and easier to use, and I’ve been very happy with the image quality. LUMIX GX8: This is the main camera I use to film all my current videos. I love the quality and size. The only think I don’t like about it is that I have to use an audio converter plug for the microphone. LUMIX 12 – 35 mm lens: I use this lens along with the GX8 to film nearly all my videos. It has a good range and depth of field. RODE Video Mic Pro: Audio is a huge part of video, and the RODE mic is a fantastic shotgun directional mic that picks up voice but also atmosphere sounds. Almost all my videos are filmed with this simple setup. You may also want to consider using a tripod or monopod for best video results, but it’s not necessary. I normally don’t carry a full tripod with me, but I do use a Joby gorilla pod frequently. There are endless ways for how to make travel videos and edit them, but here’s a formula that I use, and it has worked well. As a side note, knowing how I’m going to edit my videos, also helps me when I’m filming. So it might be helpful for you to decided how your going to edit before you start filming. Introduction (around 10 seconds): The first 10 seconds of your video are hugely important. If it’s no engaging enough, people will leave your video. Capture viewers attention with something interesting or tell them what your video is going to be about. You logo brand (5 seconds): Next, promote your brand. I simply use my logo and add music to it, but others have a more fancy intro. Body of video: (3 – 8 minutes, or could be longer): This is the body storyline of your video, the bulk of the content. Ending and Call To Action (around 10 – 15 seconds): At the end of your video, it’s a good idea to have a call to action. I usually ask viewers to click thumbs up (this can help increase your video rankings), and to subscribe for future videos. One of the most effective ways to achieve a call to action at the end of a video is to speak it, ask viewers to do something. But you can also include an end card that you annotate (do this by building it into your video when you’re editing). A good length to aim for is from 3 – 10 minutes, but you can also try different length videos as well. I’ve had shorter 1 minute videos do well, and longer 15 minute videos do well. For this travel videos guide, I’m not going to get into the details of actual editing. However, it’s pretty easy to learn, depending on what software you use. You don’t need to worry about special effects or doing anything too fancy, just mainly focus on cutting out parts you don’t need and adding in pieces you do need to complete your story. Video Editing Software: There are many programs to edit your videos with. I use Adobe Premiere, and another popular choice on Macs is Final Cut. However, there are even good free editing software like Lightworks. Voice Over: Recording your voice and overlaying it on video is a good way to add more value and information to your travel videos while keeping your video interesting and engaging. It does take time, but it’s worth it, especially on destination style videos. Music: Music can make or break a travel video, so choose something wisely that fits the mood, is important. But be very careful of copyrights and only use music that you are licensed to use or you. I’ve used plenty of royalty free music from Kevin MacLeod and Josh Woodward, which are free to use and profit from as long as you credit the producer. I also occasionally purchase music from sites like Premium Beat and Audio Jungle. You might also check out the subscription service with Audio Network and Audio Blocks. Natural Background Sounds: From my experience, when dealing with travel videos, many people enjoy hearing the real sounds of the place. It adds to the viewer experience of the destination and atmosphere. So if it’s appropriate, consider using less music and more natural background sounds. I learned this from people commenting on my videos, saying they would like to hear the natural background sounds. Another point, listen to what people are commenting on your videos. You’ve created your video, it’s now time to upload it. After shooing and editing your videos, it’s time to upload them to YouTube! For starters, I always upload my videos as “Private,” so that I can put all the finishing touches, like keywords, descriptions, titles, and annotations, on them before publishing it to the public. This also allows me to schedule my videos to publish at the exact time that I’ve told my subscribers I’m going to publish. I probably don’t need to mention this, but just login to your YouTube account, click upload in the upper right corner, and simply drag your video file onto the upload screen. Then wait until it finishes uploading and processing. Making and editing a video is only half the work… keep persisting to optimize your videos, it’s worth it in the long run. What’s the point of optimizing (YouTube SEO)? Let’s say you have two phrases that mean the same thing, like: “What to do in Bangkok” and “Things to do in Bangkok.” But let’s say 10 times more people search for one of the phrases over the other. Wouldn’t you want to know which phrase that is so that you can target it with your video? Video File: Before you upload your video, if you already have your keywords chosen that pertain to the video, you can name your video and add some meta data with your keywords to it, prior to uploading. 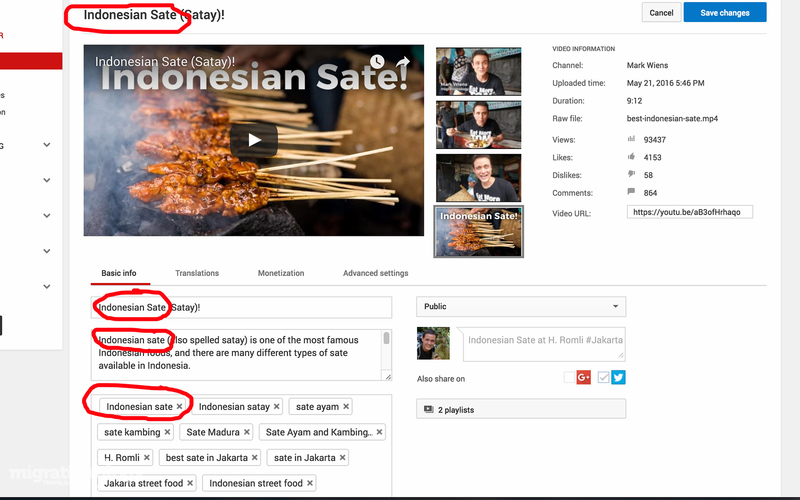 Name your video file: indonesian-sate.mp4 and then upload. Description: On every YouTube video, you have a description box where you can include information about your video. It’s a good idea to include your keywords in the description box about once every 100 words or so. I normally shoot for 300 – 500 words or so in my video description boxes. Also make sure you include links to your blogs, social media platforms, and wherever you want to direct viewers. Keyword Tags: List your target keyword as the first tag, but then go crazy adding synonyms or other related keywords you can think of. Advanced Settings: Any kind of extra setting that YouTube gives you to fill out behind the scenes of a video you upload, do it. Add in the location, the recoding date, the category etc. I’m not sure how much of a weight this could have in video rank, but if YouTube wants you to do it, it definitely has some benefit. Thumbnail Image: I’m not sure if all YouTube accounts have access to upload custom video thumbnails, but if you have the option, do it faithfully. Attractive video thumbnails can make the difference in people clicking on your video instead of others when they are scrolling through their feed. Subtitles and Closed Captions: Creating video subtitles and closed captions is a huge time consuming task, but it can be a good idea and increase your audience according to YouTube. I sometimes create subtitles for videos I really want to rank for, but since I create so much content, I simply don’t do it for every video. It’s something for you to consider. Embed and Link Videos: Finally, if you have a blog, make sure you embed your video into a blog post that pertains to your video. Not only will it be helpful to readers, but it can also boost the video. Also, just like SEO for articles, linking out to your video is a good idea as well. This process looks complicated, but really once you get the hang of it, you can do it pretty quickly and effortlessly, and it gets much easier the more you do it. Search engine optimization (SEO) is not something you have to overdo with it comes to marketing your videos on YouTube, but it is helpful to target words that get more traffic. The way I see it there are 2 main methods of growing your channel which are in your control. Gain Subscribers: Subscribers are people who subscribe to your YouTube channel and when you publish a video, they are notified and often watch your newest published videos soon after you release them. Create Evergreen Videos (Video SEO): Evergreen content are videos that rank well when people search on YouTube or Google, and can continue to rack up views over time. These videos bring in new viewers continuously (day and night), and you always have an opportunity to convert them into subscribers. Tips for creating evergreen videos is summarized in the optimize section above. I say “in your control” because you can do these two things yourself to boost your YouTube channel. Other less controllable methods for growing your YouTube channels are are somewhat out of your immediate control. However, focusing on the two things mentioned above and improving your overall channel authority and watch time, will increase your chances of less controllable factors which include things like YouTube promoting your videos as suggested videos or even having one of your videos go viral. Watch Time: Watch Time is the amount of minutes a viewer watches a video, and it’s an extremely important ranking factor on YouTube videos. Why? Because watch time translates to engagement, and YouTube wants people to stay on YouTube and keep watching videos. If you can create travel videos that are engaging and that have a higher watch time than other videos, your video will likely rank higher than videos about the same subject. This goes back to story, right? 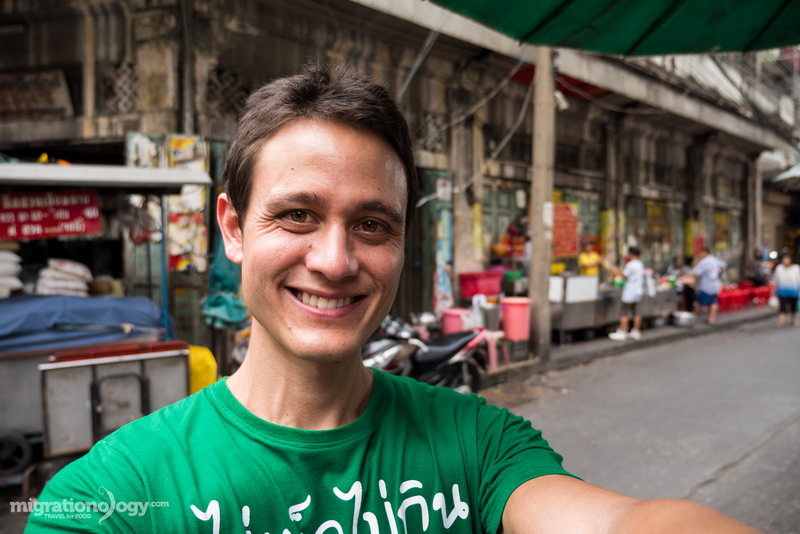 Video Schedule: When I first began learning how to make travel videos for YouTube, I committed to publishing 1 video every week, on Wednesday at 8 pm Bangkok time. When I got more into it, I bumped it up to 2 videos per week, on Weds and Sun at 8 pm. Just like a TV show, people will come back (and subscribe) when they know your publishing schedule and if you actually do it. If you’re serious about making videos for YouTube, stick to your schedule. Another bonus of having a schedule is that it pressures yourself to do it – no procrastinating! Intro Video on Channel: Since the introduction of the current YouTube channel designs, there’s a place for an introduction video where a video shows to those who haven’t yet subscribed. I’m not sure of how effective this intro video is, but it’s a good idea to have one that introducing yourself and what your channel is about. Make sure you include a call to action to click subscribe for more videos. Playlists: Playlists are important and necessary for all YouTube channels and all your videos should reside in a playlist, which is a list of videos that have a similar theme and category. Playlists make it easier for viewers to keep watching videos, and they may end up watching your entire playlist of videos if they are engaged. As soon as you publish a video, add it to a playlist. Annotations and Cards: Annotation are clickable boxes that popup when you’re watching a YouTube video with a message. You can use them to ask people to give your video a thumbs up, remind them to check out your blog, or that your new t-shirts are now available. Cards are a nicer looking call to action where you can link out to another website from your video. Comments: Again, YouTube loves to see engagement, and when your video gets lots of “likes” and comments, that improves engagement. Ask people to leave a thumbs up and comment in your video, and then make sure you do your part to answer back as much as you can. If you follow these tips and keep publishing videos, I’m pretty confident your YouTube channel will grow. Along with first starting a blog, the decision to start making travel and food videos for YouTube and growing my YouTube channel, was probably the best choice I’ve made in my online career. There’s no doubt that it takes a lot of work. But the beauty of making videos, especially when you have a a platform like YouTube to share them on, is that you have the potential to connect with millions of people from around the world. Don’t wait, start creating and telling your story today. If you have any questions or comments, leave a comment below. I would love to hear from you! 214 comments. I'd love to hear from you! Thank u so much Mark shared your story with us, This story a inspiration for me and all your fan and new Blogger Thank you so much. Thanks for the clear explanation and tips! Its really worth reading your article. Great for someone like me, who have started a fairly successful blog, but now want to get into making videos. Great guide! This is probably the best and most comprehensive guide on vlogging (and creating YouTube content in general) – thank you! We are just starting out and it’s proving a mental “step too far” to start vlogs right now. Just need to get over that hurdle. It will useful for travel blogger all around the world ! Great article for someone like us, who have started a fairly successful blog, but now want to get into making videos. Great guide! Promoting videos was always difficult for me. I will read this long content again 🙂 I have subscribed your channel. This is great, thank you so much for this! I’ve been thinking about doing videos for awhile so this is really handy. What do you think about Youtube vs FB videos? I do a lot of recipes and have seen how great recipe videos can do on FB, but I guess it must be harder to monetise there. Do you post yours to Youtube only or do you cross-post to Facebook? Presumably views on Facebook don’t count towards Youtube? This is awesome! I have been blogging since 2015 when my husband and I went part-time with work and hit the road. I love sharing my experiences with others and inspiring people to get out and explore (even it’s their own state or country). We recently turned our minivan into a campervan and will be traveling about 6-8 months out of the year so I would like to advance our video skills and YouTube channel as I find less time to sit and write when we are out on the road plus I feel like it is a more intimate way to connect with our followers. I’m going to implement most of these tips this year and will let you know how it goes! I’m so excited to get started. My 9-year old nephews says, as long as you tell your subscribers to “smash that like button” I’m golden. LOL Thanks for the encouragement! Truly great tips about Youtube videos. Vlog is very trendy these days. Thanks for these tips and resources you’ve shared with us, your readers. It looks like I’ve been doing a few things wrong. This is a free short course in video production and editing. Wow! What a stunning article for a novice in video blogging. It will take time to carefully study it. I have several video, but I think about increasing. Thank you, Mark. Is start a vlogging channel can gives opportunity to travel different places like abroad for free or we get sponsors …so plzz explain this issues of sponsorship and tours we get and how we get.? I am so glad I found this, I am currently in Southeast Asia. I have been making videos but getting 8 views per video and even myself thinking they aren’t very good almost made me stop! The hardest thing for me is being in front of that camera and chatting to it like a person, I always have a strange feeling that people are watching me. I have read this whole post and I hope this will help me out! Thanks for such an awesome step guide! I recently started a travel vlog. I want to reach more people but I tend to be more scattered. I got some great tips from the article and am going to work on it. Thank you again. its first time in my entire life i have read a full blog article and writing such a long comment review. Mark your writing style is amazing like your videos. i have started a travel channel on you tube as well and my main fault was i was not putting myself in the videos which was taking a lot of time for editing section and my 2nd mistake was i was not more niche specific due to which i was not targeting my real audience. after reading your blog i will apply all your recommendations on my channel and try to improve my channel as per as your instruction. thanks for sharing such a valuable article and content. Lovely guide! I’m just starting my very first youtube channel (basically a ‘how to visit Seattle like a local’ series) and I am SO NERVOUS but also I know this will help other travelers. Since I am just to starting out I am weary of purchasing an expensive camera, so Im going to be using my iPhone 8 Plus for the video/some audio ( i got a small mic). I hope it works well enough! Thanks for sharing your valuable knowledge! Excellent guide and very informative in plain English,I like it very much. I want to spread your ideas and videos through my blogs. If given a chance I will put all your links in my special blog to inform and carry your banner. Thank you for sharing! I’ve been blessed to have traveled a lot. It didn’t occur to me until after I came back from Thailand and Colombia that this is a great platform for researching upcoming trips, amongst a host of other things, like “I wish I would have known” before I went. 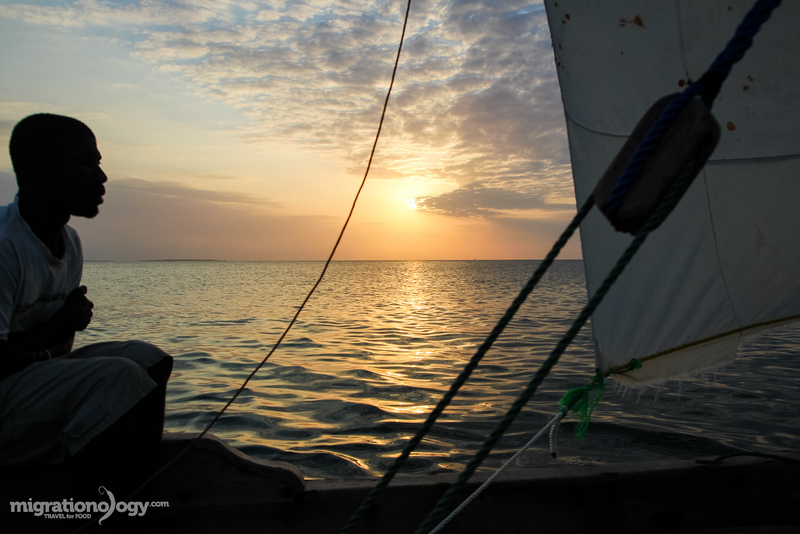 I’m heading to Belize in December over Christmas and I’m going to give this my first shot. It’s something I’ve thought about a lot. I have one question, with your camera isn’t it hard to hold a selfie stick and walk and talk? Also, would a Go Pro be sufficient in some instances? I have a Nikon 5200 which is too bulky. Thanks again for sharing! Great job Mark…Am a big fan of yours..Could you please guide us in detail of how you make money by posting videos in Youtube. Is it done by giving them our Bank A/C details. And how much is being paid for each Subscription, Likes, Ads etc. Thank you. This was really informative for me. I got to know many things by reading this. Thank you for sharing this information. This was really informative. I got to know many things by reading this. Thank you for sharing this information. Awesome 101 guide bro, i’m gunna share this….. I’m a Youtuber of 2 years in SEAsia, currently based in Bangkok…focusing on food, fun and life in Thailand as a digital nomad… Been a BIG fan for years… My subscribers have often asked me to do a collaboration with you if possible …. so if you are into collabing with other passionate youtubers/foodtubers, my channel is youtube.com/livinthatlife and just hit 20k subs ! Hope to maybe see ya around bkk! I like the content. It is very informative for a starter like me. Thank you for sharing your knowledge, Sir! Kudos! Also, can I get somewhere music for free? Wow, that’s some great advice! I wish I read this article before editing my first travel video. Def. gonna keep this in mind! Good stuff man! I’ve been riding a motorcycle for a long time and recently purchased a go pro. I’ve been surfing around learning more about what I can do with the videos I record. Thanks for the good info. Thank you so much for this guide, Mark! Love your videos and food posts as well! very comprehensive & honest suggestions, much appreciated, ???? thanks for the guide actually recently i decided to create you tube channel and start making videos. Because, am a motorcyclist who love to travel place on my bike. so why not to capture on amazing places those i visit every months.this guide is quite useful for starter. I am hooked on them, great work , and the best of luck and your awesome family. I love your channel on YouTube!! I want to know how to blog also!! Hey, Mark! I love your videos and your personality! The only problem is that I get really hungry when I watch them 🙂 I was wondering as I’ve noticed that you’ve got very few videos from Europe, if you’re planning some more trips there. If so, I would strongly suggest considering the Balkans. I personally am Bulgarian and consider the cuisine of the Balkan countries extremely good. 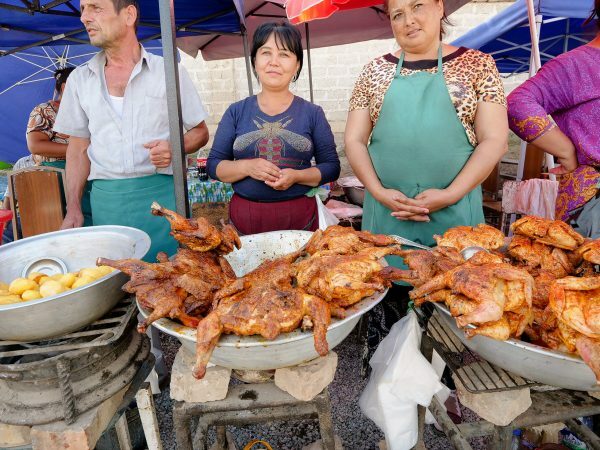 It consists of many various traditional dishes with rich flavours and what adds to it is that the quality of the ingredients such as meat, vegetables, fruit, eat. is really fresh and tasty, due to the good soil and weather conditions. P.S. Send my regards to your wonderful family! I’m sure you get a lot of compliments. Please accept my appreciation for your thoughtful and topical VLOGs. I am a FS officer stationed in many US Embassies. Your information videos are indispensable to me and my family. Please keep up the good work. Kind regards. Nice tips Mike. Thank you! I wish to do a weekly video of 10-15 minutes duration. I’ve been a Producer/Director for over 45 years and I do the shooting, editing narration etc. How in the world can you monetize your videos? I do not want to slug them with commercials. Do you solicit donations? Charge a subscription of say $5.00 a year once it gets going? I am not shooting anything that can be plugged or marketed. Not shooting businesses, restaurants or anything that makes anyone any money. How have others made enough money to keep one in good equipment, fuel and living expenses so that the videos can be perpetuated? I thank you in advance for your reply. Mark has excellent presentation skills I have ever seen, wish a very happy life for you and and your family so that we can continuously get more excellent travel videos . Hello! 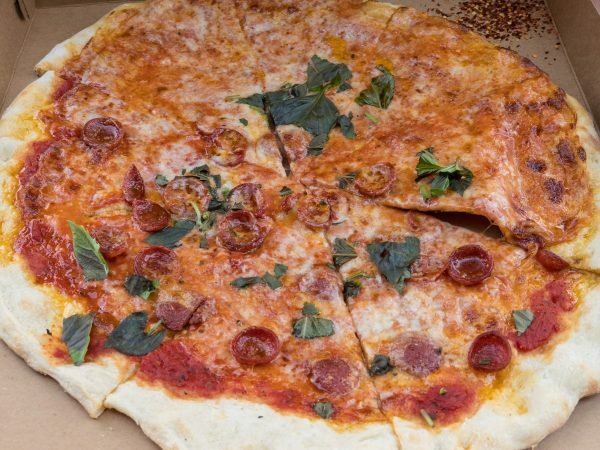 What kind of restrictions do you run into while filming food? For example, in a restaurant? Do you ask for permission before filming? Great blog man, it somehow never occurred to me to check out this website, until now hehe, just saw it while watching the round the world vlog series, it is always great to see what kind of amazing food you “stumble” upon, keep it up! Ps. Loved the Stockholm videos! Thanks so much for this article. I’ve been considering doing some video work for my blog, and your tips are going to come in really handy. QUick question – do you find lots of people coming to your blog through videos, or do they just tend to watch them on your youtube channel? Thank you very much. The rate of people coming to the blog from videos is low, but if you give them a real reason to go back to the blog for more info or something special, it will be higher. Plus it can be very targeted traffic. Greetings from New York, saw your latest videos from Bhutan. All your food videos are amazing. Keep it up. Your looks resembles my wife’s brother and every time we watch your video, it reminds us of him. Hey Tenzy, awesome to hear from you, thank you very much! Thank you for all the wonderful tips!! Do you have more posts about how to create a meaningful and engaging story? thanks for this , and please write more about how to make attractive videos. I’m a fellow adult TCK living currently living in Egypt, and I’m putting together what I need to start a vlog from my next location, Mumbai. Thanks so much for the inspiration and practical tips! Hey Brandon, cool to hear from you, glad this is helpful for vlogging! your vlogs are really inspirational for those who want to pursue his/her career in making travel vlogs, travel guide videos or any kind of videos (obviously on good ideas, most importantly on good stories) on youtube . I love the way of your spontaneous communication with your viewers with various kinds of delicious food around the world. I also love the way you eat your food with full of emotion. Hopefully, you will make more videos in future and we will be able to know more new things through your youtube channel and website. Thank you so much. I realy love your videos from Thailand. Its amazing that you speak the language and can eat (very) spicy food. I love the way you eat your food and give comment. My girlfriend is from the Philippines, i cannot fond any videos fr.Philippines or maybe i overlooked ! But anyway, i love your videos and i hope you will make more videos in the future. Hey, Mark. I’m an amateur blogger, planning to make a living as professional blogger, and I’ll be surely learn a lot from your tips. 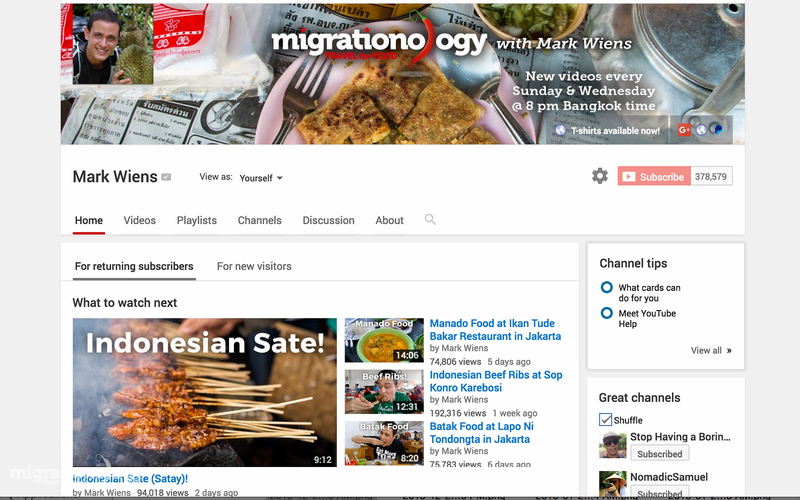 It’s so fun watching your Youtube channel and I never missed a single video after you did Indonesian food trip a year ago (I even tracked back to your times vlogging food in India, Jordan, Japan, and some more). Keep posting, keep sharing knowledge and anything. myself Rohith , iam from INDIA .i would like to intimate you with some beautiful places all around INDIA where in lots of varieties of dishes are being made,,me and my friends were really intrested in getting more information to you people about our food and how those are prepared and served ..this might come in handy ,it will for sure help everyone who is following migrationology.com . Thanks so much for this thorough article–my first on making YouTube videos. I’m interested in doing a Vlog and your suggestions will be helpful. Hey Daniel, awesome to hear that it’s useful. Hope to see some of your upcoming videos soon! This is a great piece of article. I have been looking for something like this. Thanks for the detailed guide. Truly useful! Hi Mark! Been a fan of yours since 2015. Congratulations on your baby Micah! Cheers to both of you and Ying! My question is how do you monetize a video? Hope you could do a step-by-step blog on this. Hope to hear from you! Thanks! 1) Do locals who appear in your videos need to sign any kind of release, particularly when you plan to monetize? 2) How have you dealt with permits, especially when so much travel happens on the fly? Hi Erin, thank you for reading, glad this is helpful. 1. No, I don’t do any kind of release forms. But most of my videos are just open and filmed in public areas. I haven’t done any official interview types of videos, but perhaps if you get more serious about that kind of stuff, it would be more necessary, and also really depending on the country. 2. Filming permits? Luckily my camera and and just my self production with no tripod, doesn’t attract too much attention. So I’ve never needed film permits, apart from asking the restaurant if I can film. Hi Mark! First of all, I love your article and your channel in general. I make short “summary” videos of my travels in a cinematic way because that’s what I like to do, instead of making Vlog style travel videos. But it means that I don’t have a lot of content to post consistently. What would you recommend for a someone like me to grow their channel? I make sure that I comment, have please subscribe notes here and there, and have ending cards, and I plan to link my instagram to my youtube channel as well, my instagram holds my travel photography that hopefully will work well with the youtube channel. But is there anything else I can do? Or is time the only real factor here? Haha. Just be patient and wait? Hi J, great to hear from you and thank you very much. Very cool with the videos. In my opinion, it takes a lot of content on a regular basis to keep a channel maintained and to experience more growth. So if there’s anything you can do to keep to a more consistent schedule and push yourself to produce more content, I would recommend it. All the best and your videos are awesome. I am a recent viewer and brand new subscriber. I am obsessed with Asian cuisine and culture, and fascinated with your vlogs. I found you through Pailin’s you tube channel. I also love Helen’s Recipes, Van’s Kitchen and others; as I was a food service professional for 45 years, and since I’m not able to indulge in my life-long passion to travel, I am happy that I found you and your lovely wife to follow in your adventures. Keep up the great work and take care. That was a great and informative read. Thank you for imparting this knowledge for us to personally experience. My boyfriend and I are thinking about starting a travel vlog and this was like a green light for us. Thank you for sharing all of your expertise, it’s been amazing to be guided through the process like this. Hey Andrea, great to hear that. Would love to see your travel vlog! I first came across your videos by chance. I was going to Tokyo and had never been before. I randomly looked for things to do and came across your 25 things to do in Tokyo. I liked your style and enthusiasm for whatever you did as I started to look at other videos you made. Anyway, I went to Tokyo (Via Istanbul) and have been to some of the places you have visited there, anyway, I used your list of things to do in Tokyo. I showed your list to a friend who lives in Tokyo and he said that was a very good list of things to do in the city. It was, I didn’t do everything you did due to time constraints, but I did most of it. I was in Gothenburg in Sweden in August, beautiful, but very, very expensive. Please keep up the excellent work and if you make it to Scotland please let me know. Thank you very very much for so many and useful informations! I am starting a travel blog with my husband. We are at the very beginning and really non-expert but it’ s a great experience. We follow you, your trips and your videos and we love them! I really like your videos and always wait for your new videos. I love how you enjoy it and through your medium, we are also able to enjoy delicious international food. I must say that you take full control over your diet inspite of surrounding with mouth watering cuisines. You are an inspiration to me where I would need to learn how to better control over the instincts. How does the auto focus on the GX8 compare to the Canon 80D? Is it as fast and as good at tracking? It’s a wonderful post, gave lot of insight about making travel videos. Thanks for sharing it. I really enjoy to watch your travel video and thanks for sharing this. it’s so helpful and inspire me. Hi Dio, I’m so happy to hear that, thank you! first of all, thanks for this. It is exremelyhelpful 🙂 I’m currently biking from my hometown in Germany to Thailand towards a monastery and want to document everything. I wanted to ask: The “call to action” for people to subscribe and comment and like, etc. is a very important one, isn’t it? Simply because I just started I feel bad for asking haha. Hi Martin, good to hear about you and what you’re doing. Yes, the call to action is very important. That’s what encourages people who watch your videos to do the thing you want them to do to help you grow your channel. What do you do with the raw footage once you’re done editing? Do you immediately delete them? I’m curious to know because keeping them will require space right? Hey Alvin, I backup twice on 2 hard drives, and then delete footage from the SD card. I have a lot of hard drives! Perfect guide, very wise and clear and also fromthe heart. I really appreciate it. Thank you for all the info and tips, it is all so very helpful. I am planning to start my own Travel Vlog. I do have a question. I am planning to buy a GoPro4 to use as my main source for videoing. I chose the Go Pro because of how versatile it is. Is the Go Pro in your opinion a good choice? Hey Michael, you’re welcome, glad this post is helpful. It all depends on what types of videos you want to make and for what purpose. I’m personally not a huge GoPro fan because most of the shots are very wide (not close-ups) – which is good for landscapes but not for food, and the audio isn’t very good (but there are solutions). It is good if you want to just capture wide shots and especially actions and activities. Other options like some of the mirrorless cameras can be good options as well if you want more close-up shots. Thank you for the reply in regards to my Go Pro question. It was very helpful. I am now looking at a Mirrorless Camera in addition to the Go Pro. For me I think the combination of the two, will suit my needs very well. Thank you. What is the hands free camera holder you use to record video of yourself while walking? Hi, I live in quite a YouTube saturated community, I am thinking of starting a travel vlog youtube channel. I am wondering how I can make it unique . Also I only travel about once every three months so do you think there would be a consistancy problem ? Great guide. I am curious how you specifically advertised your travel videos early on? Do you have a preferred social media platform? I have created a travel related page called “amazing world” but don’t know what kind of channel it is? How can I increase visibility and subscribers? Your advice is really helpful, very simple yet informative. Thank you very much. I was looking for “best foods to eat” from the internet and came about your YouTube clips. I’m such a fan now and have already watch most of your contributions. So informative and insightful. I’m eagerly looking forward to your next posting (Korea 3). Awesome man, keep it up, 2 thumbs up. My wife says that I’ve perfected your signature “satisfied look” while tasting new dishes. LOL!! She’s also a fan as well. I have read your full article and feeling quite impressed by the research work made and shared by you on the subject. I am attaching herewith a link of one of my videos made recently on Rishikesh in India. Can you help me to find where I am lacking. Please feel free to comment in any way. It will help me. I’m Zuan, a blogger and traveler from Malaysia. My blog is in Bahasa Malaysia. Previously I more into writing blogs about my experience in traveling. But once I started to subscribe your youtube channel, I feel inspired to to a travel video, so I started shoot my own travel video, but its in bahasa because I feel more comfort in Malay language. And now I have my YouTube Channel called ‘Uncle Zuan Travel’. Hi Zuan, it’s great to hear from you, and that is fantastic that you’ve started to focus on making videos. I will check out your channel, thanks for sharing! It gives me a lot of help. Great to hear that, thanks for reading! I wanted to let you know that I think you and your wife are absolutely amazing Youtube personalities. There are an abundance of content creators out there, but what I appreciate about you is that you make it about the food. Your main focus is always about the food. You two do an amazing job and I am a long time fan. Since I discovered your channel, I watch every video and am truly inspired to broaden my food palate. Keep up the great work, as I know you will. You need to know you are truly appreciated. Much love from the USA! Practical discussion , I learned a lot from the info – Does someone know where my company would be able to grab a blank IRS 1040 – Schedule M document to complete ? I really like to watch your video,and I’m from Taiwan. Thank you very much Angelo. Do you use stabilization tool with your Panasonic GX8 ? , because I see your video is very smooth and not shake when you walk. Hey Roberto, thank you for the suggestion and feedback. I think you’re right, but also I think that some people like to read information like this to really sink in and learn, but that’s a great idea and I will definitely try to make more videos dealing with the process like this in the future. Hey Mark. . Thanks for making us ur first priority. This blog is very useful especially for those who wants to start a YouTube channel.. U r doing great and wish u all the luck for future. U slay man.. lov u to the bits..
Hi Hissey, I really appreciate your support, glad this is helpful. Thanks! Thanks man, this is very helpful. And gave me some interesting ideas to follow my own path. Hey Paul, good to hear that, thanks for reading. I thank you so much mark for sharing your information and other useful idea for newcomers for YouTube channel . Hi Jaffer, you’re welcome, glad it’s helpful. Hi Mark, just discovered your blog and YT channel. Man, you do share a lot of great content, thank you so much. I have a YT channel (in Portuguese) and I’d like to start a new channel about food. I worked many years as a chef in UK and would love to start a street food channel. I’d be mainly vlogging in Portuguese showing all the food and culture. Not much travel apart from going to different markets and events. Do you think this idea could work? Still not sure if I should vlog in English or Portuguese. Street food in Brazil is picking up a lot, and it’d be great to show people there some new ideas, and London has plenty of that. Sorry for the long message. Thank you so much and happy travels! Hi Adriana, thank you very much, glad it’s helpful. Right now, I’m only using a Lumix GX8 setup for everything. I always think that if I’m going to spend so much time editing a video, I want the video and audio quality to be as good as possible. I haven’t used it myself, but I’ve heard very good things about the Sony RX100 for small camera vlogging. Awesome to see your blog and passion for food and travel. Syed here. I’m a fellow YouTuber and Travel-Food lover. I’d like to invite you and Ying to an event. How can I get in touch? Hi Syed, great to hear from you. You can reach me at [email protected] Thanks. Really informative and admirable post Mark. Reading your post, I am sure many people would like to atleast give video a try next time they travel. Adding to what you have written, people may not always have video camera and some may not feel comfortable speaking infront of camera. In such cases, they can always use slideshow makers to convert travel pictures into videos. All it takes is pictures, music and text, and you’re done. Some of the slideshow makers I would recommend are; Masher, Picovico, and Magisto. These are online slideshow maker that can easily convert your pictures into video and make them way too interactive then still pictures. Hope the readers find it useful. Hey Dipesh, thank you very much for reading this guide, and glad it’s helpful. That’s a great idea as well, thank you for sharing. hey mark, ill be heading to Europe this may for a month making stops in barcelona, paris, london, amsterdam, berlin, and some italian cities to top it off. In regards to equipment the only availability I have right now is to just use my iphone 6 with a tripod for a steadier shot any video editing apps you recommend on the app store/ any good filters worth using while shooting through an iphone. This will be my first ever attempt at a travel vlog for me so any tips will help thank you!! Hey Daniel, great to hear from you and sounds like a great trip you have planned. I honestly haven’t gotten too much into video on iphone yet. But to edit small clip I’ve used both Adobe Clip and Splice, both of which are easy to use and work well. All the best! Appreciate all the work you have put into this. I am an old guy so some of the technology is new to me. Could you tell me what software u use to create your logos and intros and outros for your Youtube videos? Hey Tom, thank you very much, glad it’s useful. For editing video I’m using Adobe Premiere, and that’s how I edit the intros and outros as well, just adding clips into my timeline while editing. For creating my logos, they were created as picture files, and then I just bring them over into the video editing software. Hope this helps a bit. Do you make videos also? Do you use Adobe Premiere Elements or Pro? Is your MacBook Pro fast enough to do editing? Mark, this is such a great article. Thank you for sharing! I find your section on how to make videos for Youtube very insightful as I did an introduction for my latest video and add an ending card to it, and realized it does bring great results. Thanks for sharing your insightful tips! I have a question, is it a good idea to make a long duration “movie”? If so, what can you do to make it good so people will like it? Hi Sean, it really depends… I think if you’re trying to really build an audience, shorter videos in the 2 – 5 minute range are best, but if you have an existing audience, or if you have an idea for a video that will be incredibly engaging, a longer video is a great idea – because YouTube will favor a longer video if you have high engagement (it keep people on YouTube longer!). Hi Mark, thanks for the tips! I’m 12 years old and i have been doing taste test on my youtube channel and I edit using Windows Live Movie its okay but for a starter like me! You inspire me! Hey Kysan, great to hear form you, and thank you for sharing your videos. You’re doing amazing, keep on going and keep on doing what you love! Just find your videos, and you, through Travel Blog Success. They are good, congrats!! How do you put the subscribe link on annotation or cards? I’m so lost… And I’m also wondering how you are talking and the camera is facing you than you’re filming other things minutes later but you keeping the sequence of the narrative… Thank you !! Hey Pericles, nice to meet you, and thank you for watching. At the end of the videos, I normally have a subscribe button, and that I edit into the video, and then annotate it. For filming, I will talk all filming my face, and then film separate clips which I will overlay when editing. Hope that makes sense, and all the best! I’ve referred back to this page every once and a while for the last 2 years now in Canada and now in Nepal. Still practical! We have learned a lot from you that we have tried to put into practice in our own angle in our own travel videos on YouTube. A lot attributed to following your example, we are 4 months now with a channel and website, and we have evolved to the niche that we want with a consistent biweekly video release that has come together. Your tips obviously work, your community keeps on growing to so big now! You are a trusted source because of your openness and approachability. Thanks for all the help and generosity in sharing, Mark! 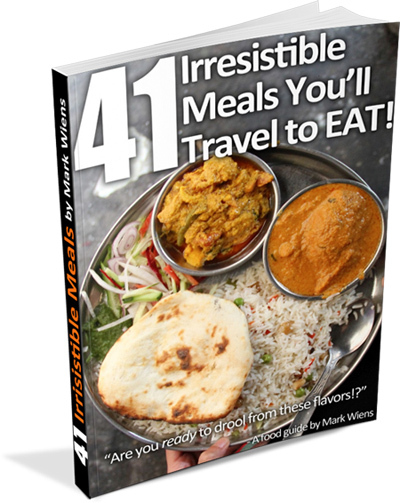 Great help for planing my own travel & food blog. Hey Martin, glad this is helpful! Hi Ritesh, good to hear from you. Glad you want to make videos as well. I just try to do my best in everything and do what I’m passionate about. 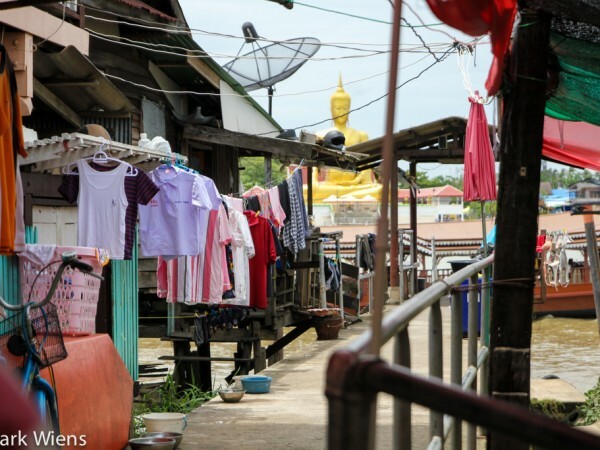 Hi Mark, I came across your, “25 Amazing Things To Do in Bangkok, Thailand” as my first video on my research for planing our family trip. Your video was really impressive, professional, fun, organized, insightful…so many great things about it to list. I must say your videos stand out and was so impressed with it that I felt I need to learn your formula for creating such amazing quality videos…and viola!….you put a blog for exactly another thing that I have been looking for. A simple formatted and duplicatable way to create amazing videos such as yours. Thank you sooooo much for all the great work that you are doing!! I leaned a ton form your video for our future vacation this year and was inspired to create my own videos…..thank to you. By the way I also purchased your e-book which is another outstanding creation!! Dude…kuddos to your awesome work and commitment to provide the best!!! Your freakn rock!! I’ll be in Bangkok in April or Dec for about a month…well starting there and then island hoping. If you are still out in Bangkok I would love to treat you to an all you can eat and pick your brain. Cheers!! Hi Dago, great to hear from you, thank you very much for the kind words, and I’m so happy to hear that my content has been useful. I’d love to see your videos in the future as well. I’m traveling occasionally, but let me know when the time gets closer, thank you! Hi Neil, great to hear from you and I appreciate your words of encouragement. Big thank you for watching my videos and for your support. Yes, that would be wonderful to have a coffee or meal with you someday in Hawaii! Thanks again. Hey Tara, thank you for reading this, and hope to see some of your videos soon! Thanks for doing this. We are working on my tour business and will be heading to WV this weekend to do some videos and the tips, especially Splasheo helps. Hey Greg, good to hear from you, thank you for reading. Yes, let me know when you come to Thailand! Is wordpress a good place to start out blogging? Does the free version have enough space for pictures etc? Hey Michael, yes wordpress is great. But if you plan to take it seriously, I’d recommend you get your own domain and hosting, and then use wordpress on your own domain. Just let me add my voice to the rest and thank you for this excellent and comprehensive starters guide Mark. My main question was answered in the comments here as I wondered if you always travelled with a cameraman/woman. It seems you do? I never feel comfortable filming myself so I guess I need to team up with someone when on the road and needing to film. Is it still the case that you use a DSLR for most of your video work? Hi Andy, great to hear from you. Yes, I now have a wife, so she is my camera woman all the time if I’m in the shot. Yes, I’m still using a DSLR, but I’ve also added a Canon S110 to my kit for video shot that I don’t want to bring out the DSLR for – but the sound quality isn’t as good. 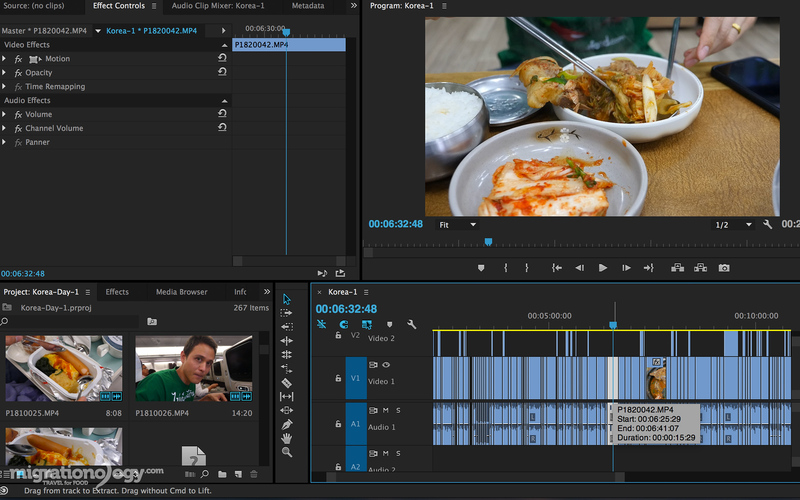 As for editing, it all depends, but on just a 2 – 4 minute meal video, I spend about 1 – 2 hours editing it. I used to be MUCH slower, but the more I’ve done it, the more I’ve become faster and moved to editing on a system – for instance, all my titles are the same, so I now don’t need to spend 30 minutes deciding which font to use for titles. For longer videos like “top things to do in Bangkok” that took me about 3 days, almost non-stop to edit, I think. Yes, I’m also blogging a lot as well – I think blogging and videos go hand in hand. I think if you publish a video, you should try to have an article corresponding to it. Would love to meet you at DIA 2014! First of all, congratulations on the new look of the site. It’s much more attractive now. Also, thanks a lot for this tutorial. You have been the first person that inspired me to do my own writing (www.sytexperience.com), and I’m hoping to start my Youtube videos on my first visit to Thailand in 2 weeks. Don’t worry, I won’t make you any competition. I’m aiming Portuguese speaking viewers. Hey Josias, great to hear from you and thank you for sharing your blog, so cool that you have started your own writing. Let me know when you have some videos up, would love to check them out! Thanks for all the tips Mark! This was insanely helpful, as this is something I am just starting to dabble with. Great Stephen, glad it’s helpful! Fantastic tips here, thanks for sharing. I’ve only recently begun to make new travel videos. I am new to it, but hope that I can improve with time. Congrats on your success with YouTube, that is amazing. Hey Andy, great to hear that you’ve started to make travel videos. Keep at it! Hey Mark, again lots of thank to you for this informative and insightful guide for the people like me who are illiterate in this niche. I am sure..now I can master the art of video making. Glad it’s useful Sourav, looking forward to seeing your videos! I really enjoyed your travel adventures, Mark 😀 Keep it up! Thank you Mica, you’re awesome too! How many viewers or subscribers do you need on youtube to make some money? Can you give an idea how much is to be made on youtube? Hey Paul, it all depends on how many ads you put on your videos, like just the overlay, or also the ad at the beginning of the video. As a reference, I was previously getting about 10,000 to 15,000 video views a day and making about $10 – $15 per day, but this was only including minimum ads on my videos. As for subscribers, well with a few thousand you can probably make a couple dollars a day. But in this online world, every few dollars adds up! Great guide, Mark. Do you have any suggestions on how to grow subscribers quickly? Also, do you think the 500-word description really helps with SEO? Is it worth the time spent? Thank you for reading this guide. As for growing subscribers quickly, my suggestions would be to keep a video posting schedule, like new video every Weds and Sun at 8 pm, annotate each video with subscribe buttons, come right out and ask viewers to subscribe at the end of your videos, and then just keep publishing and promoting your videos. For the 500 words, yes I think it helps, but depending on which video. For instance, if one of your video titles has a decent search volume you’d want to take the time to write a good description. If it doesn’t, it may not be worth your time. This is an EXCELLENT guide….Even although I’ve been shooting and uploading videos for the past 3 years, I’ve learned a lot of valuable tips….Keep up the good work! GLOBAL VIDEO: 14 million views from my 5 channels…. Yeah, regular posting requires a lot of content. You’ve been really good with upkeep, without a loss to quality. Doesn’t hurt you have an excellent camerawoman! ;). Been seeing a lot of folk doing vlog channels, which I think is easier for regularity. I was trying to do the keyword research after you and some bloggers mentioned it, but man, that SEO stuff is so tedious! Hey Christine, yes a camerawoman is a huge help!! Awesome guide for those wanting to start videos on YouTube! Thanks for sharing, Mark! I’m glad you posted your drawbacks of the GoPro. Been wondering if that’s something I should invest in or not. So you suggest loading the keywords then? I thought YouTube didn’t like us using too many keywords but wanted it to be more targeted. Although if it works for you, I’d prefer to follow that. Your channel has a really successful following which i’m sure took time to build. Also, how long were you doing your videos before your traffic to really start rolling. I know the food niche is a specific niche, but just curious. I think it probably took 6 months to almost a year, of sticking to a strict video publishing schedule, to get to a point where I could really see some good growth and lots of new subscribers everyday. We found it very helpful and informative with good, solid, practical advise. A piece of advise we might offer in return after watching part of the accompanying video, is to consider how many times “filler” words such as um, er, and….. are used, as experienced Toastmasters it is something we strive to eliminate from our speaking whether in person or on video. Love your focus on foods and cuisine, as early retirees enjoying our slow travel explorations we too love to try the local fare. Thank you, and also for the advice! Yes, I also noticed that I used way too many filler words. This was my first live webinar ever, so I was a bit nervous – and I’m hoping to get more practice in the future! Thanks in advance and the article and video was really helpful! A very solid guide to video production on Youtube. A great reference full of so much information if I ever decide to make videos I’m sure a lot of this advice will be vital to refer to. Great guide with some great information thanks for sharing! Brilliant write-up Mark. I recently came back from my Italy trip and have been considering adding a few videos to my travel blog. So your post came at a perfect time for me. How are you enjoying Africa? Hey Anwesha, great to hear that, you should definitely start making some videos. Yes, we are very much enjoying our trip! Thank you kindly for sharing your video secrets. Now if only this old man can master the techniques! This goes in my blogger file for sure! Safe Travels mi amigo! Thanks for checking this out Mike! Wow! This is one informative article. I’m a little intimidated, but on the other hand I would like to try it. I’ll see how it goes. Thanks! Thank you Corinne, all the best! I’ve been watching your videos for years, and now that I’m starting to produce my own videos, I refer to your content consistently for ideas. Thanks for posting this guide – It definitely sheds some light on the work required to be a successful video blogger. Thanks for all the support you’ve given me Kevin, and I’m looking forward to seeing more of your videos! Id been watching your video but I forget to mention into your survey. and you have a good video too. Hi Hermie, thank you very much! I am a huge fan of marks videos! You can sence a kindred/ kind spirt about him…this information is going to help his what could be”competition” but instead of keeping all his secrets.. He shares them! That just is amazing!!! would coke give it’s secrect of success of its soft drink ingredients!? huge thumbs up for his humblnes & huge generosity! Very insightful and helpful points for YouTube Channels Owners.Thanks for sharing. You’re welcome Kiran, thanks for checking it out!